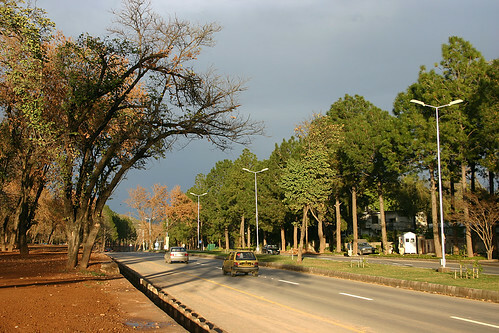 This photo (posted on my Flickr site) was taken over the last weekend after rain washed Islamabad clean. Travelling on Margalla Road (actually named Khayaban-e-Iqbal, but who cares!) is one of the best experiences in Islamabad.